Kill You Bear Dusty Tan T-Shirt | BUDK.com - Knives & Swords At The Lowest Prices! Looking for an alternative to the standard-fare, boring t-shirt design? Boring our Kill You Bear shirt is not! 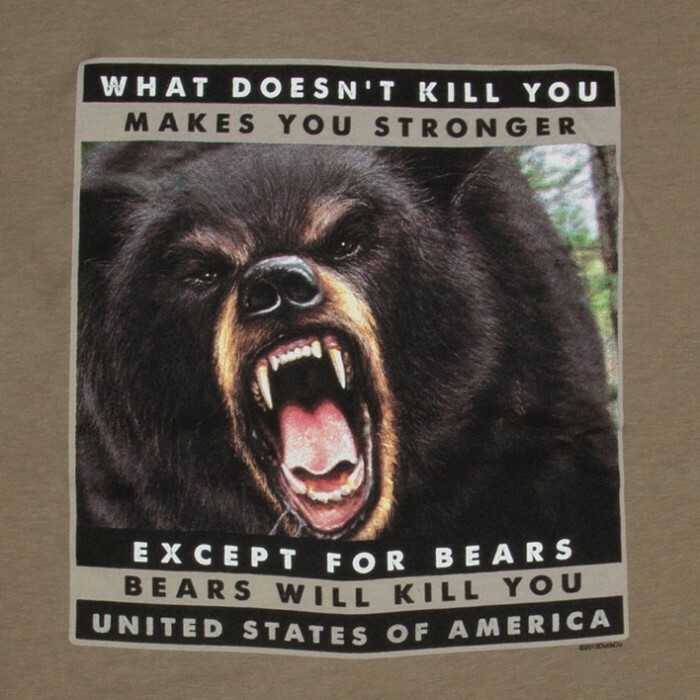 The high-quality t-shirt has a hand silkscreen printed piece of original artwork featuring a growling bear and the funny but very true message, “What doesn’t kill you makes you stronger. Except for bears. 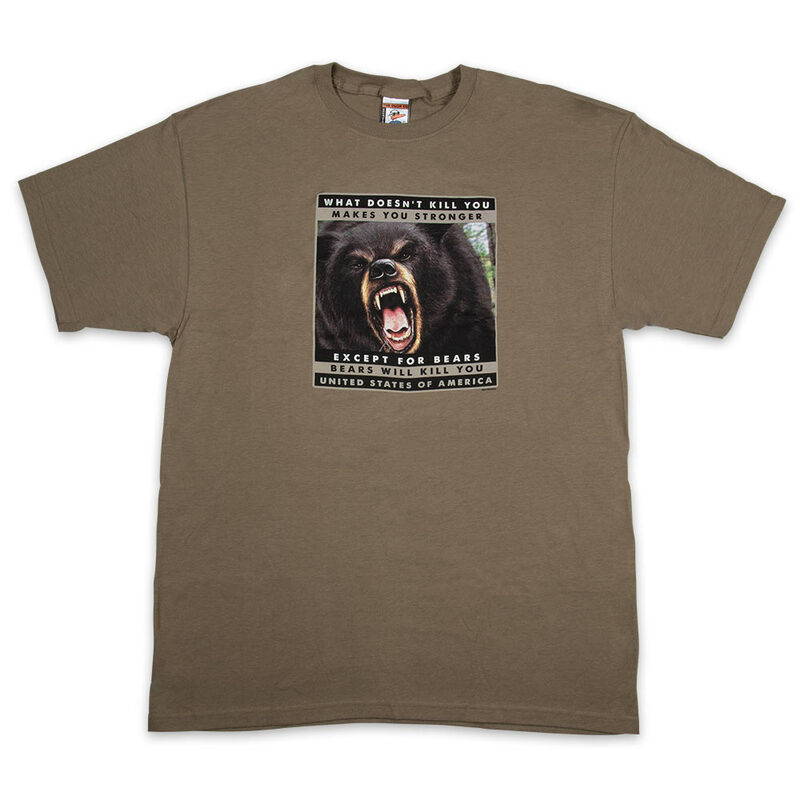 Bears will kill you.” The shirt is made of 100 percent cotton in a dusty tan color and comes in sizes large, 1XL and 2XL. Add this humorous t-shirt to your closet today!